I am kind of fascinated with objects or art made at exaggerated scale (particularly miniature scale, dollhouses, terrariums, Dominic Wilcox's watch sculptures). 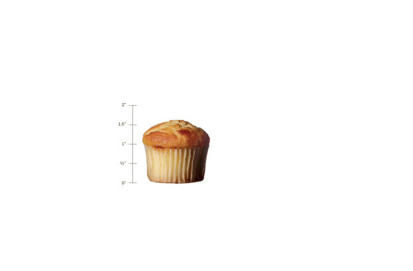 So, I was delighted to come across the concept of scale related to desserts in this article in the New York Times. Hurray for bite sized portions of concentrated deliciousness. Professionally, Steve Jobs was such a hero of mine. His approach to design, communication, user experience and the consumer informs my thinking, especially now that I'm trying to launch a start-up of my own. When I heard the news that Steve Jobs died last night, I was so stricken and transfixed on the relentless stream of updates, news, obituaries, and eulogies, written to not only honor his corporate accomplishments, as a leader of one of the most amazing companies ever--but also to salute the amazing way he lived his life. Here is a commencement speech that he gave to the very lucky, 2005 graduates at Stanford. I LOVE this speech and his parting words were perfect: "Stay hungry, stay foolish." Who wants to take calligraphy class with me? Another season AND a movie... Check out the Bluth Family Reunion on The New Yorker Facebook Exclusives page... Hilarious.